Flooded homes and no communication. Thanks to our electrician, Dave. I feared my chest would cave. They shared WiFi and cable. For their spirit of generosity and giving. But it brought us early Thanksgiving. My Musings will be back. And take my coffee black. May we all keep in our hearts and prayers those who have suffered and continue to suffer from the devastation of Hurricane Sandy. Wishing you well and electricity soonest! I feel your pain, Lisa, as i sit here in my dark cold house reading this from my phone. Glad you got a generator and have such caring friends. We stayed with very kind, generous friends this past weekend to get a respite from powerlessness. Thanksgiving truly has come early this year. I feel for you too, Paprika. There are utility trucks on my street today so my fingers are crossed. If I get power I will let you know and you can hang at my house! Thanks, Lisa 🙂 Our power came back on around 8pm last night. You can come hang with me if your power isn’t back on. Fingers crossed that this next storm doesn’t do any more damage. Congrats! I’m happy for you. Crew is on my street, so I feel hopeful. So sorry to hear you’re without power. Hope it gets restored for you soon. Good to hear from you and hope the power is back soon! Thanks! My fingers are crossed. Thanks, Brian. I hope the juice and sanity are back soon too, but unfortunately they’re not yet. Only you could turn a disaster into comforting laughter! I’ve been worried about you, not knowing exactly where you live in New Jersey. Hang in there!!!! Thanks, Terri. I appreciate your encouragement. We are hanging in there and trying to keep perspective. So good to hear you are ok, albeit cold and eating poptarts and sardines! I’m also glad you have people who have reached out. Be well. Thanks for your supportive words. We still don’t have power, but we’ve graduated to PB&J. Terrible circumstances…grand funny poem. Thank you (and best wishes for getting everything back to normal soon.)! I appreciate your good wishes, Cindy. I will welcome normal when I see it! I hope power is restored soon. They claimed to be more prepared with this storm, but that doesn’t seem to be true! It’s true. There was so much warning and planning, and yet power doesn’t seem to have been restored very efficiently in many places. And now on top of it all, it’s snowing! And you would have a poem in the middle of your discomfort. Yeah for the electrician who hooked you up to the generator. And glad you feel thankful in the midst of your discomfort. Because we remember Katrina and Haiti and think “this too shall pass”. And Squeeze lyrics. Now if only my neighborhood would get a “Squeeze” of electricity! Glad to see you still have your sense of humor – what else can you do? We are unscathed here in Michigan, but mother nature usually gets back at us at some point with an ice or snow storm. But I think what you have trumps ice and snow any day. Salt water floods – how awful. Glad it didn’t hit you too. Our snow is coming now! Ugh! Glad to see you writing…by candlelight and quill and ink, I presume? 🙂 Keep those sardines away from the pop tarts… talk about indigestion. Oy! Of course, but my candle is down to the stub. The vintage look is in vogue, isn’t it? Hoping for relief for you soon. 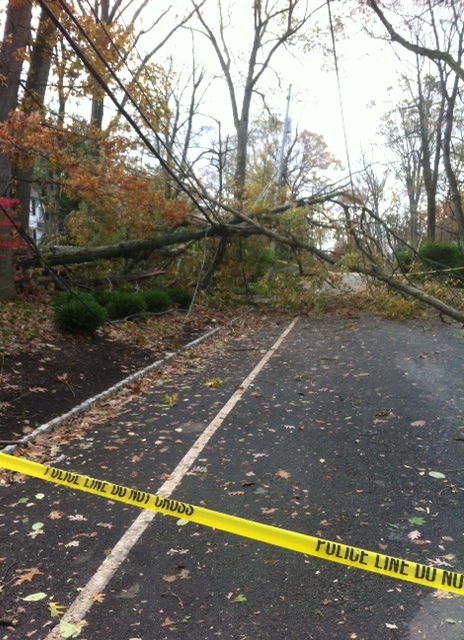 As Sassy Sandy came through and blew. As we send our love and care from this west coast. Sounds as if you have some wonderful friends. Hope everything is back to normal soon for everyone. Normal is a relative concept. 😉 Thank you, I appreciate your good wishes. ‘And Pop-Tarts-related constipation’!! Good to be able to make such jokes in a crisis. As always, you’re good for comic relief. After reading your post today, I’m sitting here feeling guilty for the “75 and Sunny” forecast today here in North Texas. (But only until I recall the months of Hot as Hell and Drought we’ve just come through.) I’ve been a Weather Channel junkie ever since Sandy raised her ugly head. I am standing with my NJ pals in spirit. Keep your chin up! Sending all those in Sandy’s path our warm wishes and prayers. Key word there is “warm!” Thank you! Let there be light soon! Sending good thoughts to you and all the rest that are in the midsts of Sandy’s wake. Very clever poem by the way! Thoughts and prayers to you, yours and everyone affected by this terrible storm. Once more we are reminded of how powerless we all are when it comes to power. Among many things that have to be addressed to improve the quality of life for all is working towards insulating our power grid as best we can against the ever-increasing weather challenges we all will face in the years to come. Hope you get your power back soon. How you manage to make cold and dark funny I don’t know. Love this! “Blew a Frankenfuse!” – so funny. May the force be with you soon. Thanks, Barb. A power crew is on my street now! Impressed you can still blog! Thanks to generous friends for their power — and their inspiration! And here I’m complaining about cold and clouds — shame on me! Wishing you a return to normalcy real soon! What a clever ode, by the way! Ha! But every cloud has a silver lining, and power restored last night! Hallelujah! Last week really was surreal, but as we have power back now I cannot complain. It is hard to believe how much damage was done. The snow really looked like the icing on the cake. True. And the tree that fell on my neighbor’s car for the second time was the straw that broke the camel’s back! Yep, knew you were out of power and hurricane sore. It is intense, isn’t it? The cold showers were especially intense! Yes, all powered up. Thank you! Coffee black. Me too. But seems waitresses and waiters do not know what coffee black means. Don’t they get it? Coffee black.